Fresh allegations of funding announcements made in the month leading up to tomorrow’s general election have been made by the Scottish Conservatives. 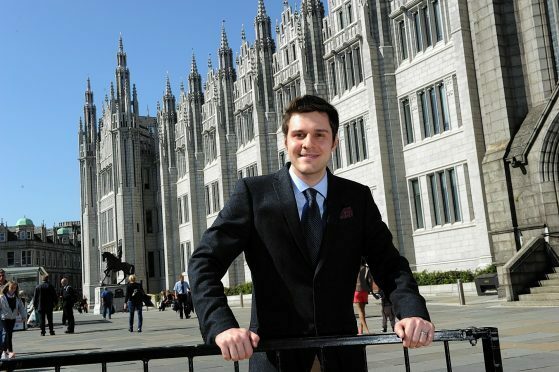 North-east MSP Ross Thomson has highlighted how millions of pounds of funding were announced in the run-up to the council elections last month. Now Mr Thomson, who is standing for the Aberdeen South seat in the Commons, has revealed 11 more funding announcements made in the last four weeks. These include some covering northern constituencies, including £2.5m spending on a sub-sea exploration project in Aberdeen South. Mr Thomson said: “Millions of pounds of taxpayer funding has been announced, right in the middle of an election. “It doesn’t take a political genius to see the pattern – every one of these announcements is in an SNP battleground seat. “This increasingly looks like a systematic targeting of public resources at election targets. Mr Thomson has written to Scottish Government permanent secretary Leslie Evans setting out his concerns. These include an announcement on graduate-level apprenticeships with a case study of a business in Gordon and £50million for health boards including NHS Grampian to improve waiting times. A Scottish Government spokesman said: “During the UK pre-election period, Scottish Ministers continue to carry out their functions in the usual way and civil servants continue to support Ministers. “These announcements represent legitimate business falling within Scottish Ministers’ devolved responsibilities and are entirely consistent with our pre-election guidance.